It had more to do with work stress. 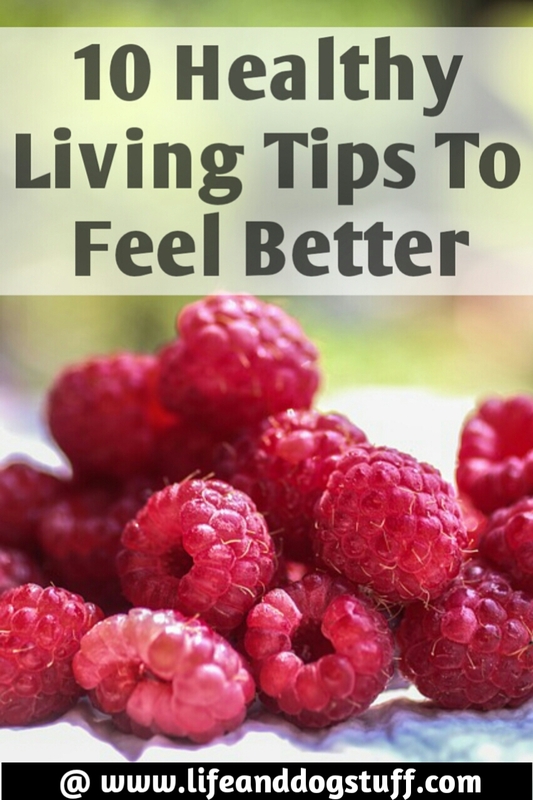 Stress led to not eating right, not getting proper sleep and it just all spiraled from there. The one thing about this life you have to know and what I've learned the hard way is that if you go down a destructive path and not making any attempt to change, life will force you to change. Yep! And you will not like it at all. Say hello to all kinds of health problems, mental health issues, social issues and whatever feels really bad. But all is not lost. Sure you will not be healthier or have a healthy mindset overnight. It will take time. Start with small steps. Small steps will lead to good daily habits. Healthy daily habits that will lead to a healthier you. I made a list of little things you can do every day to get momentum going. This should be the first thing you do when you wake up in the morning. Express your gratitude for everything in your life. This can be done in a form of prayer, maybe write it down in a gratitude journal or just say what you're grateful for in your head. What this will do is start the snowball effect and set the mood for the rest of your day. I used to work shifts and I feel your pain if you're a shift worker. Shift work should be illegal. I think it fits into the human torture category. Anyway, sleep is important. Eight hours of sleep is the goal. I make it a point to turn everything off at 10pm at night to get my 8 hours sleep. My bestie says I'm like a robot that switches off at 10 but it's a habit that helps me feel better during the day. One quick tip that helps me. Listen to something really boring. You know how you watch a boring movie and fall asleep. Do that! I also listen to sleep meditations on YouTube. Very effective. Your mind has everything to do with living a healthy life. Someone can tell you to exercise and diet to be healthy but let's face it, it's not gonna work without mental strength. Meditation is a tool I use to weed out negative thoughts. It helps to organize my thoughts better and allows me to step back and observe. Clearing your mind leaves room for inspiration to flow in. You'll make better choices, deal better with stressful situations and respect your body and mind enough to take care of it. Also not to allow others to disrespect the boundaries you've set for yourself. We are only given one body and mind. It works hard for us. We might as well return the favor. For those who get a little lonely sometimes know how awful it feels. I get it. Since I got my dogs I don't feel lonely at all anymore. Buffy and Fluffy are always there making sure my days are filled with love. So much love. 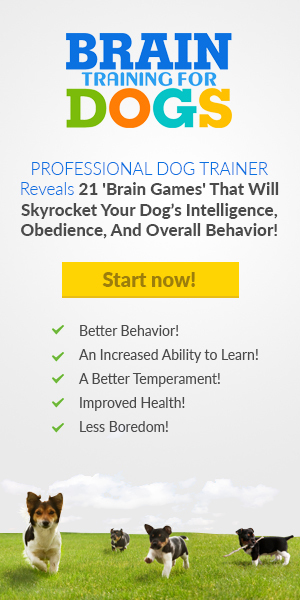 Pets can be a great contributor to living a long healthy life. They can be the reason you get pumped full of happy hormones, why you laugh more, stress less and be inspired to be healthier by making better life choices. 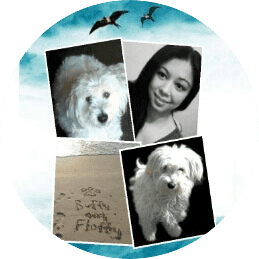 My dog Buffy was the snowball effect that led to me fighting to feel better. I owe everything to him. Just a dog? Nope! So much more. I hate exercise but some people love it. What do they have that the exercise hating people don't have? I'll let you know as soon as I find out. I asked my bestie because he loves working out but you know guys can't explain things properly in detail to understand it clearly. There was just a lot of you have to because. Not really helpful. I guess as long as we're moving and not just in one place and position for an extended period of time it should help. People walk if they aren't into running. Or some other thing. Hey! I never said this was a fitness blog. But just in case, let's try to exercise more. Or else! Emotional health is just as important as physical health. Don't let things pile up in your head. Find ways to let them out. Talk to someone, write about it or find some other ways to express it and let it go. Most of our problems and health issues are there because we hold onto stuff. The bad stuff in life, the things that make us sad. Stop focussing on the negatives or the what could have been. Being positive feels better. We shape our own journey through this life. Make a choice and decide where you want to be in a few years and follow that path. I can't promise it will be easy but I can promise you it will be worth it. Do you know that feeling where everything is in its place, the day is planned and there's nothing but harmony? Aim for that! Sure unexpected surprises will happen during your day but when you're organized you have better control and less stress. 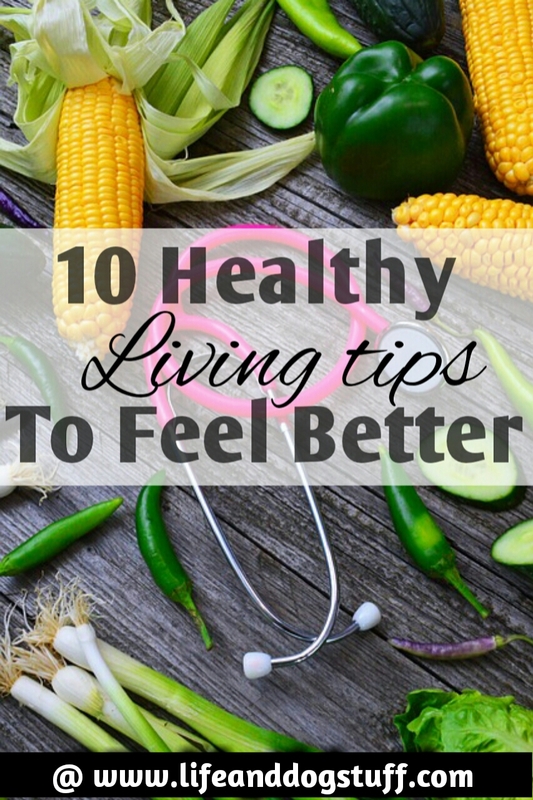 Healthy living means a life that's not filled with stressful things and your job is to make it easier to navigate day to day activities. Over the holidays I kinda overindulged. I've been really good at not overeating and staying away from junk food but when the holidays come around the yummy food was hard to avoid. I ate and ate, and ate some more and there was no stopping until I started feeling weird. I can't describe it exactly but I felt really bad. Like a garbage bin is the only word that comes to mind. I knew I needed a detox or some kind of system cleansing. I came across a video that talked about fasting. Or intermittent fasting. I don't believe in starving yourself and I always linked fasting to starving. But it's not if done right of course. So I tried the minimum fasting time which is 16 hours. For me, it was 6 pm at night when I'm done eating dinner until 10 am the next morning. In three days I was feeling better than I did in a long time. I felt less tired and my body felt like it was in rhythm again. It was an incredible discovery. I love it when my mind accepts solutions. Things I knew about but that were not in my mind's focus. We all have those solutions staring at us but blind to see them. Since then I don't eat after 6 pm anymore, but I'll eat breakfast anytime after I wake up in the morning and don't wait for 10 am. But whenever I feel like a garbage bin again, I'll do the full 16 hours fast. I make sure my plate is not too full and incorporated more veg, fruit, and water in my meals. I limit eating processed food, fatty junk and whatever looks like a heart attack on a plate. For me, its all about portion control, having the right amount of breaks between meals so that my body has time to digest food and adding healthy food to daily meals. What you eat shows up on the outside and affects how you feel inside. Also, try to eat for your blood type. I never knew my blood type was the reason why I can't drink coffee and starchy foods make me pass out. My blood type makes me prone to get thyroid issues, arthritis, gastro problems, and high blood pressure. My family members are sufferers from arthritis and high blood pressure. I had a thyroidectomy a few years ago and had gastro problems in the past. You can learn a lot about eating healthy from what your blood type can tolerate. Do some research. It's interesting what you can find out. That sounds easy, right? Most of this fasting happens in sleep mode anyway. It's not recommended for everyone. Do more research and speak to a doctor about intermittent fasting if you have health issues. Daily our bodies are bombarded with toxins. It's in food, the environment and all around us. Our bodies do a good job getting rid of these toxins, but it needs help when it gets too much. As humans, we tend to sometimes overdo things and then the trouble starts. Make sure you detox your body whenever you feel low energy, unwell or want to shed a few pounds. Recently I came across the Red Tea Detox Program which will aid you in detoxing and feeling healthier. It uses rooibos tea which is something I grew up with. As a South African, rooibos has always been in our house. Granny lived in a small town called Wupperthal and they grew rooibos there. She always talked about its health benefits and our family drinks rooibos tea a lot. Wupperthal burned down a few months ago, unfortunately. It's one of our churches many mission stations and the church is rebuilding the town. We donated as much as we could. Hopefully, the residents there can resume their lives soon once the town has been restored. Keep them in your prayers. Granny lived till 91 and grandpa is turning 96 this year. Still, fit and well. Make sure you check out the Red Tea Detox Program to experience all its health benefits. It's not just about the tea, the program is filled with knowledge about how to take care of your body better. It has three sections that consist of a diet portion that outlines what to eat, an exercise portion and a mindset portion to help get you motivated. Let's face it. Most of our jobs aren't that satisfying. As humans, we are meant to be creators and in most workplaces, we have to create someone else's vision. I feel most satisfied when I create something. Unfortunately, jobs are a must to bring in the money but luckily a thing like hobbies exist. A hobby will allow you to do what you love. Express yourself and be the creator you were meant to be. Try different things until something sticks or just try everything. I can get obsessed about something then get bored with it. Then try something else then repeat. Like writing. I haven't written in a year. This post is the first one in what seems like forever. My writing voice still sounds the same and I forgot that I actually love writing. Last year was a really hard year. My granny passed and it was not easy. I didn't feel like sharing anything, because I only share or write when I'm in a positive uplifting mood. I was at peace that she passed. That was not the reason why I struggled. It was the aftermath of dealing with grieving family members and all the changes that I had to adjust to. As soon as I stopped and decided not to let them steal my joy, I started to feel better. I forgot for a moment that I'm in control of how I feel. Remember that as I leave you. You alone control how you feel. You can't control others but you can choose to not let take your happiness away. Being joyful is the key to living a healthy happy life. Focus on that and everything else will fall into place. Time to go. If you are not feeling like your best self I hope you'll try my suggestions. Never miss a blog post by Joining the fluffy pack for updates. 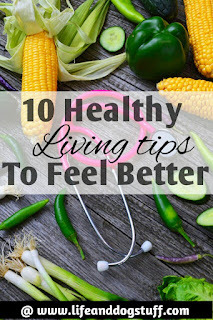 Please share if you think your friends will enjoy reading my 10 Healthy Living Tips to Feel Better post. Thank you!